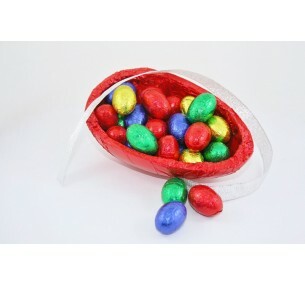 Solid Dark Chocolate Mini Eggs are wrapped in an assortment of bright foils. Ideal for office parties and festive gatherings, reception desks and table decorating - there's plenty of uses for delicious dark mini eggs! 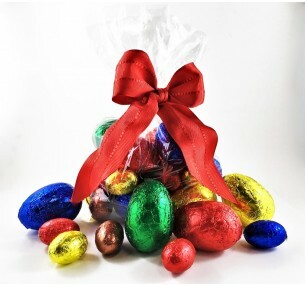 Available to buy by the kilo for your Easter celebration. 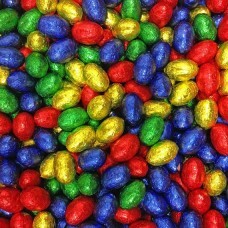 INGREDIENTS: Dark Chocolate [Cocoa Mass, Sugar, Cocoa Butter, Milk Fat, Emulsifiers (Soy Lecithin 476), Flavour (Vanilla)].